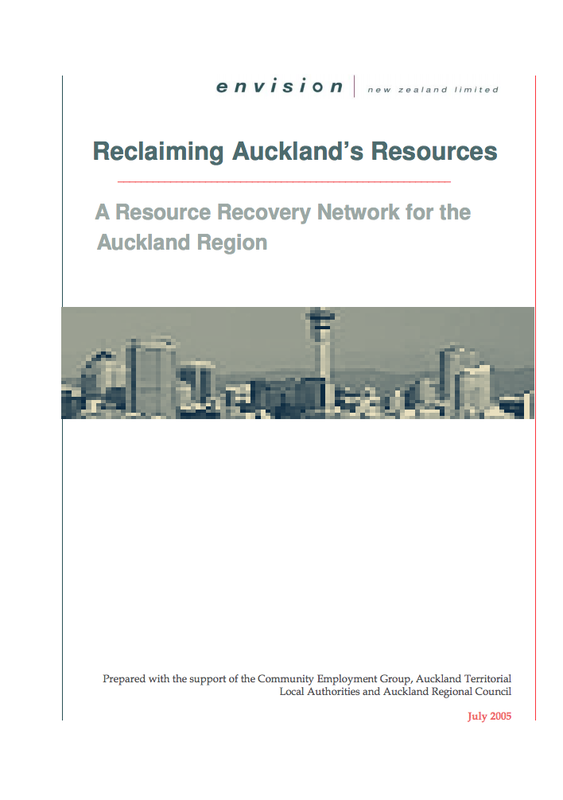 The concept for Auckland's award winning Resource Recovery Network (RRN) was first developed by Envision's founder, Warren Snow, and ex-director Julie Dickinson, in the 2005 report 'Reclaiming Auckland's Resources'. This discussion document gave a vision for a network of up to 60 Community Recycling Centres, and 5 Resource Recovery Parks, working with existing enterprises to divert as much waste as possible from landfill. 'Reclaiming Auckland's Resources' was well received by the mayors of the various legacy councils, but it was with the forming of the super city in 2010 that the vision really came into it's own and was adopted by Auckland Council as a key way of achieving Zero Waste by 2040. The future is bright for the Resource Recovery Network - momentum has been established and new enterprises and initiatives are emerging monthly. We're looking forward to seeing how the RRN develops from here, but for now, the following videos give a good overview of some of the great things happening within the RRN currently.